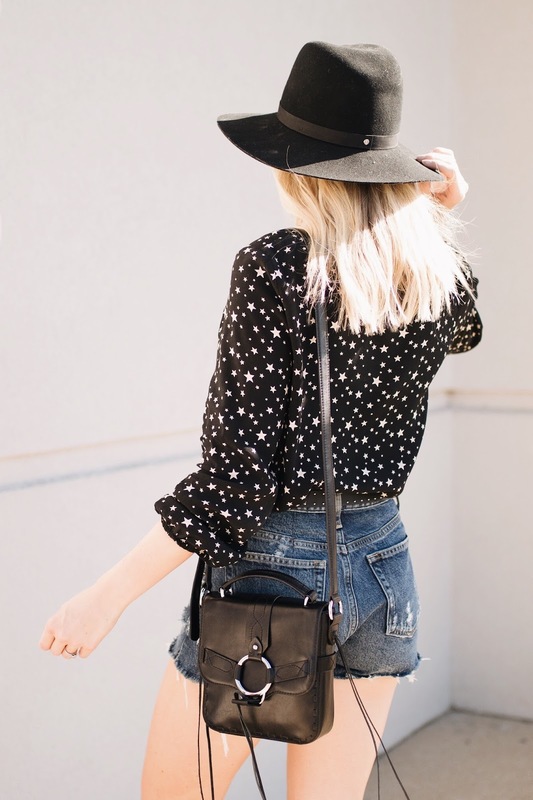 Seeing as this is my third time blogging this little star print top, can you tell how much I love it?? ★ You can see my other blog posts here and here, but I've also worn it many more ways in daily life too (including for work). I never thought a $15ish top would become such a versatile piece for me! 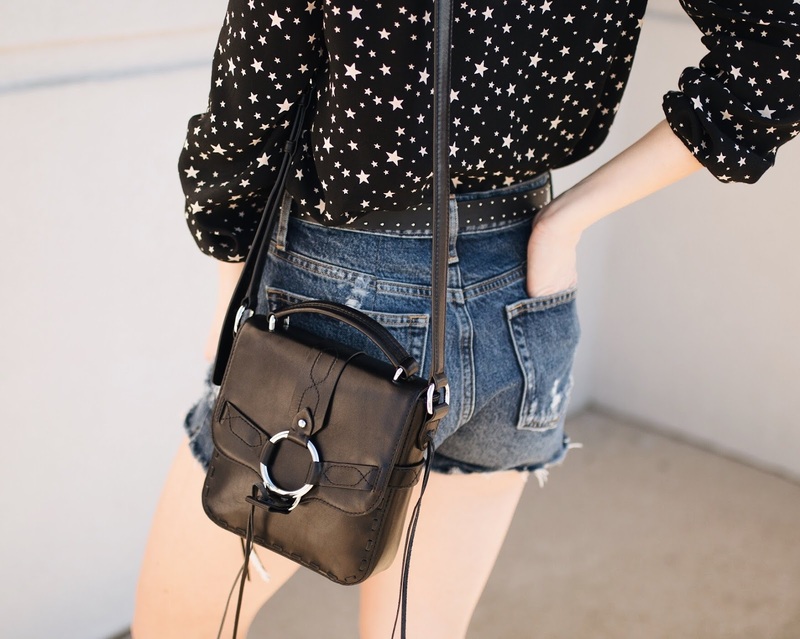 I've been looking for the perfect crossbody bag for spring and summer, and instantly loved this one that I ordered during the Shopbop sale a couple of weeks ago. I'm such a fan of pretty much everything Rebecca Minkoff designs, and this is now my third bag from them (4th all-time). I think this will be the perfect bag to tie some bandana scarves on to customize it for different outfits. I'm loving all of the chic bandana options here and here. I also wanted to remind you guys about a giveaway I have going on for a gift certificate to Mixology! They're a new-to-me site that my friend Brianna orders from, and I love that they have a lot of unique pieces! Check out the giveaway in this post.